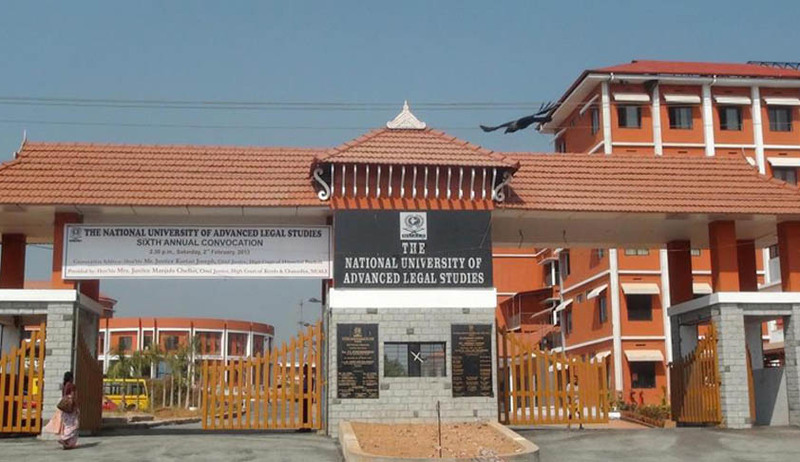 National University of Advanced Legal Studies (NUALS) Executive Council, had released Rs.3.5 Crore to the Contractors who undertook the Construction of new Building in the campus while an inquiry ordered by the Chancellor (Chief Justice of Kerala) is in progress . It was on 22nd of this month, the Executive Council decided to release Rs.3.5 Crore [Out of 4.5 Crore total due] to the Contractor. The amount was released on the same day. The matter was not in the agenda of the Council meeting and introduced as a surprise to many members. One of the EC member had vehemently objected the payment by saying that the inquiry ordered by the Chancellor is pending. Even the minutes of the meeting are not circulated or confirmed. An interim order dated 26.11.2014 issued by the Chief Technical Officer, highlighting the defects in the construction of new building in NUALS, directs that the defects relating to inadequate quality shall be rectified at the at the cost of the contractor with immediate effect. Also an undertaking has been directed to be obtained before effecting the payment due to the contractor as guarantee for repayment to NUALS in case any irregularity is detected during subsequent proposed inspection. It will also continue further inspection, the final report of which will be submitted. The CTO directed to withhold the security deposit due to the contractor and the remaining fee payable to M/s. HPL and other consultants until final enquiry report is submitted by the Chief Technical Officer. The CTO inspected 13 documents. The outcome of the preliminary inspections of the work done at the site in comparison with the deviation statement prepared by the Project Consultant showed that all major works had pending payments due to variations which could be due to improper planning during pre-tendering which has resulted in excessive provision of quantities than required. The visual defects which were detected include incomplete drain and leakage in the courtyard corridor in front of Men’s hostel, leakage marks in the walls of ladies hostel, chance of water logging in the Open Air Auditorium during rainy season due to improper drainage facilities, under quality steel pipes and several others. It was also noticed that all work except construction of staff quarters and VC’s & registrar’s residence are found to be completed. Most of the roads and buildings are in use. NUALS awarded 13 contracts for a total contract sum of 38 crore based on an agreed scope of works. The Registrar originally appointed M/s INKEL for project advisory services but later on shifted to M/s Esteem developers since INKEL dropped the job midway. M/s HPL (A Government of India enterprise under Ministry of Housing and Urban Poverty Alleviation) was also appointed as a project management consultant on behalf of NUALS to look in to all aspects of this project since NUALS doesn’t have an in-house strength to oversee technical projects of this size. When the construction work was almost in its final stage, NUALS appointed M/s Dhan & Co., Chartered Accountants to conduct an audit on the financial transactions involved in the construction of buildings in the campus Based on the findings of M/s Dhan & Co., the audit committee of NUALS prepared and submitted a report to the Chancellor on various discrepancies, defects & irregularities about the construction of buildings like excess payments, deviation from work order, quality of work, statutory violations, violations of the agreement and non-compliance of tender formalities. The Committee however recommended that all irregularities, except ‘quality of work’ can be ratified by the Executive Committee. All the defects were suggested to be rectified by the Project Management Consultants in a time-bound manner. Kerala Government has started the proceedings to recover the excess amount received by former Vice Chancellors of National University of Advanced Legal Studies [NUALS] Prof.S.G.Bhat and Dr.N.K.Jayakumar. It is informed by Kerala Law Minister K.M.Mani in Kerala Legislative Assembly answering a question by a member of the Assembly Mr.N.A.Nellikkunnu. Earlier Chief Justice of Kerala had directed the registrar of High Court of Kerala to communicate Dr.Jayakumar to refund Rs.8,73,214/- drawn by him by way of non-deduction of pension amount from his salary for the period from 1/1/2009 to 31/12/2012. The Registrar had communicated the above to Dr.N.K.Jayakumar by letter dated 27/8/2014.